YEDFA-MP series of high power fiber amplifiers are especially designed for FTTx, CATV, FDC and HFC analog amplification applications those require high reliability. Compared to conventional amplifiers, these modules are more compact, powerful, stable and reliable. This line of high power fiber amplifier features a dual stage amplification configuration, pre-amplifier and power amplifier, the use of selected multi-channel splitters with extremely low IL and high reliability. Both input and output signals are sampled and monitored with a feedback circuit. ACC (automatic current control) and APC (automatic power control) circuits are designed into the amplifier to ensure high stability and reliability of output power. 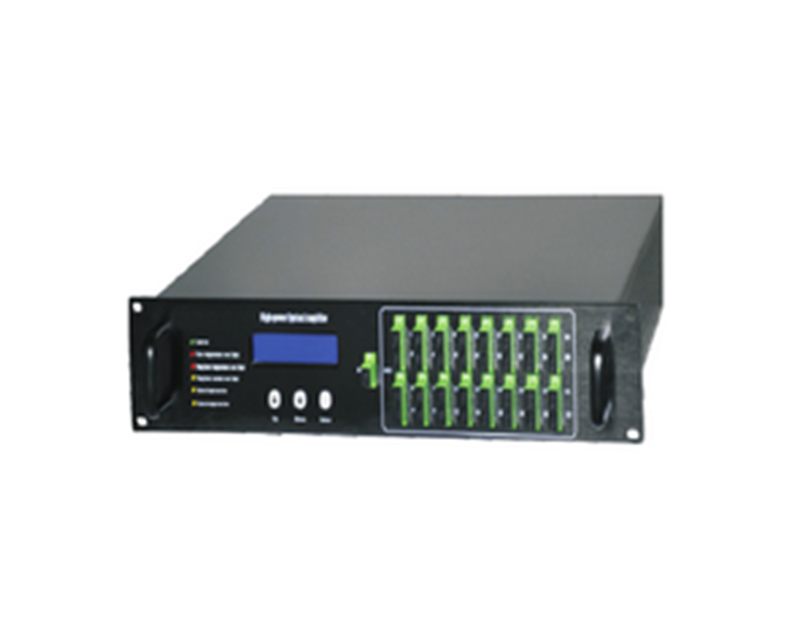 Based on integrated power monitoring circuits, it features Ethernet or RS-232 network interface, supporting open network management protocol (SNMP), enhancing flexibility to maintain connectivity with customer’s network management system. 2.Optional output configurations: 19dBm * 32 ports, 20dBm * 24 ports, 22dBm * 16 ports, 26dBm * 8 ports, 29dBm *4 ports, 33dBm *2 ports or 37dBm * 1port, etc.